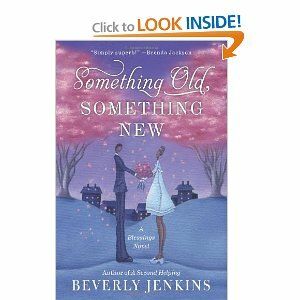 Something Old, SOMETHING NEW by BEVERLY JENKINS In Henry Adams, Kansas, there is drama after drama taking place. The scoop of all the dramas is Lily and Trent's wedding. Their romance is so wonderful. I especially loved Trent's playing the flute for ten nights. This happened every night until the night before the wedding. Along with the planning of this wedding between two people who love one another deeply, I met the rest of the town. There are many children and young people in the novel. Lily's boy is named Devon. Trent's boy is named Amari. These two boys aren't the biological children of the couple. No matter, they are exciting characters. Whether you're a biological child or not is one of the great points in the novel. This is explained by Beverly Jenkins at the end of the novel. She has a very deep interest in Foster children. 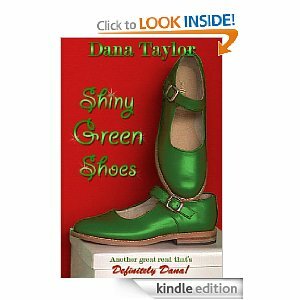 She tells her personal experience at the end of the book. People always say truth is stranger than fiction. 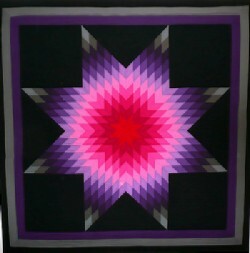 "As her eyes adjusted to the dark, she noticed the pattern of the quilt on the bed....In the murky light, the star looked jagged and broken as if it had fallen from the sky and shattered." This inspiring Christian novella begins in New Orleans. It is 1958. Mazie McDonald, a black woman, is an actress. Mazie remembers her past well. She flashes back to Luther, Oklahoma in 1935. Her life in Oklahoma was hard. Didn't seem like dreams were meant for a little colored girl. Mazie just survived each day with her mother and six siblings. "Being Mazie McDonald--big, black and boldly beautiful isn't easy. I lean back on the comfy cushions and conjure the other Mazie, the hidden Mazie that only a few can see." In Luther, Oklahoma there is a large Victorian house. Peach Knight, an old white woman, lives in this house. Children think Peach Knight is a witch. Imagination can run wild about other people with untold stories. "She ate small children, finding skinny colored girls especially to her liking." This is a novel packed with the deepest emotions experienced by any human heart. Almost the entire story takes place in the Governor's mansion in Tennessee. Gray London is the governor. His wife is Mackenzie London. There is their daughter, Maddie, who is just beginning kindergarten. 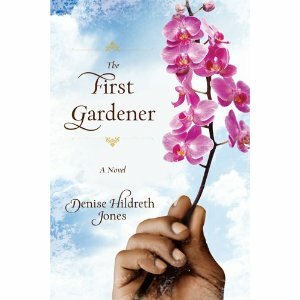 Along with these characters are Eugenia, the mother in law and Jeremiah, the gardener. Each person in this circle are giving people until the unexpected happens in their lives. This one event will reshape their lives for better or worse. The novel is so powerful that I shared it with my husband. Denise Hildreth Jones' Jeremiah is so special especially when he is playing with Maddie, or thinking about Mackenzie. Jeremiah knows The Lord well. However, he doesn't preach. He allows his flowers to speak through him. He knows the meaning of almost every flower or bulb: the amarillys, an orchid, lily, rose, etc. 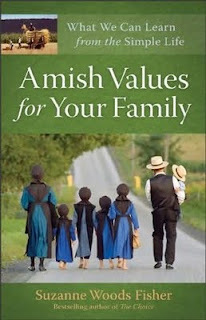 Being Amish is not a lifestyle. Life among the Amish has to do with faith. Faith can’t be squeezed to an hour or two on Sunday morning; it infuses their entire life like a teabag in hot water. What they do and how they do it is rooted in the spiritual question: What is pleasing to God? The Lesson: To pray about my day’s activities and offer them to God, first, for His purposes. And then trusting interruptions (seeing a friend in the grocery store, for example) or de-railings (those days when everything goes wrong!) to be God-managed.